High intensity xenon gas discharge (HID), produces a brilliant natural white light (6000K). Fits the fog lights of the 2013 - 2015 Holden VF Series 1 SS-V and Calais. 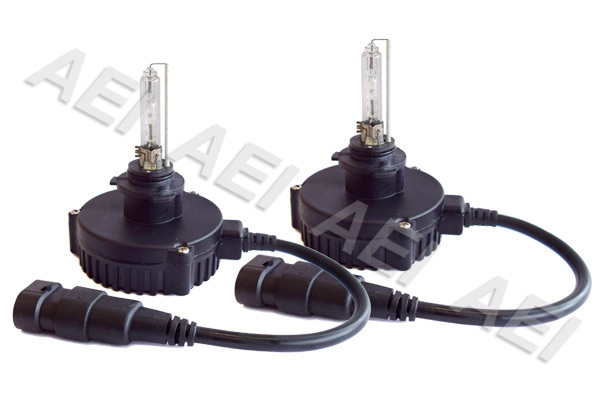 No modification required, the HID bulbs simply replace the original halogen bulbs. Up to 3 times brighter than the standard halogen bulb, 5000+hours operational life. Easy DIY installation, the whole kit will fit inside the headlight assembly. Fully compatible with the Holden Canbus system. No error code, guaranteed. Please select your preference at the checkout. This HID kit will fit the Fog Lights of the 2013 - 2015 VF Commodore SS-V and Calais, and also the 'Storm' special edition SV6/SS. It does Not fit any HSV models. It does Not fit any car that does not have fog lights (example: Evoke, SV6). Please email us if you're unsure, we are happy to help. It is designed to fit the factory genuine fog lights only (which use H10 bulbs). We will offer a full refund if the item is DOA (dead on arrival) or not as described. Returned items must be in original packaging and in reasonable condition, without any physical damage. Unless otherwise stated, all our products come with 12 month warranty. During the warranty period if the product is found to be defective, it will be repaired or replaced at our discretion. If you experienced problems with the product, please notify us by email, and we will confirm the warranty process. If required, photo of proof may be requested by us to complete the claim. Please note that buyers are required to return the item at their own expense. All returned items will be inspected. Any defects resulting from misuse, abuse, modification, improper installation, crash or impact will not be covered by the warranty. Click the button below to add the Holden VF Commodore SS-V Calais Fog Lights HID Conversion Kit (CANBUS H10 35W) to your wish list.